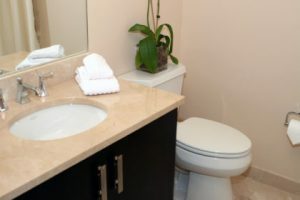 How To Use Light & Dark Paint Colors To Make Small Bathrooms Look Bigger | The Painters Inc.
You have probably heard to only use light paint in small spaces because dark colors make the room look smaller. While this can be true if you paint the entire bathroom or large areas of walls in a dark color, the darker tones can work if you use them properly. The misconception that dark colors make a wall look closer while light colors make it look further away is not entirely accurate. To understand this, think about shadow and how it naturally gives depth to a scene. Try to paint a picture using all light colors and the scene looks flat. Light is a tricky thing, it highlights and draws our focus. Darkness deepens the space and creates dimension. However, dark paint colors can’t be as black as shadows unless you’re just into that sort of thing. You still see the darker paint colors because some light is reflected off the surface. So using them carefully is a must. As you look at how light plays off objects in nature and how shadows create depth and dimension, use this idea when using lighter and darker colors for your bathroom painting project. Here’s how. 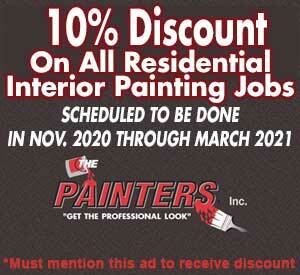 You will have to decide on a new color scheme before you paint your bathroom. The best method is to choose three colors in lighter and darker shades that go well together. 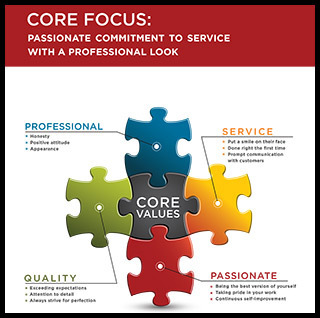 Find a color you like and then choose a second color that is at least two shades lighter and a third that is two shades darker. You can choose lighter versions of the same color or choose three complimentary colors for some variety. You will use the different shades of paint color to create dimension in the room, drawing some walls or parts backward and some forward. Most small bathrooms have a tub/shower combination. The tile is usually shiny with a lot of light reflecting off of it. The cove that exists along the top of the bathtub or shower area is a perfect place to paint darker colors. Since the contrasting light of the tub and tile surface highlights, the darker color will create a new depth in the area. The second color you chose should be used throughout the majority of the bathroom. This color will create the main background of the room. People used to use a dark stain on trimwork and molding, but lighter colors create a more modern feel. You can use the lightest color of the ones you chose to paint the trim and molding in the bathroom. This creates a more reflective surface that attracts attention while the medium and darker shades create a dimensional effect. Keep in mind that you don’t have to stick with white or cream either! As you choose decorations for the bathroom, choose options that pick up tiny bits of all three colors of paint to create a cohesive look. 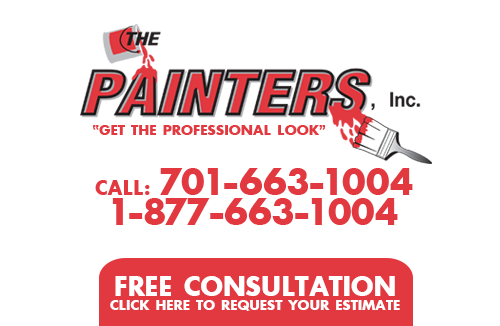 If you would like to learn more about Bathroom Painting in Bismarck area, please call The Painters Inc. at 701-663-1004 or fill out our online request form.